Beware of a very long scroll feature, just because it’s quite aesthetically awesome! We are featuring the graphic design work from Vasjen Katro for his 365 poster series called: Baugasm. He is already hustling it out on his second year and it’s still going strong. This whole series is a blast of inspiration that we can all learn and get inspired from. Happy Scroll! Designed by Vasjen Katro, he is a co-founder, visual designer and creative director over Fabric Creative based in Tirana, Albania. Working in both print and web, Vasjen has proven to accomplish beautifully his Baugasm Series and now on to his second year. Make sure to follow his process on Instagram. 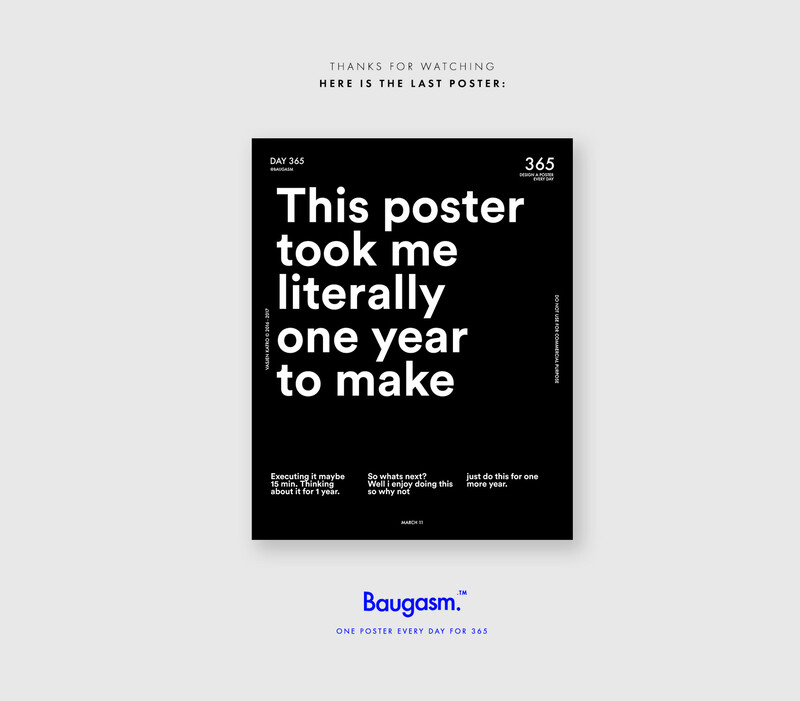 Design a poster every day for 1 year. The first years has finished after publishing successfully every day a poster in Instagram @baugasm Now you can check in instagram the second year. Anxo Vizcaíno has been commissioned by Red Yellow Blue to create this collection of cover artworks for the first GRYFFIN's album (Interscope Records). We would like to feature the work from Matheus Gomes who is a graphic designer and art director based in São Paulo, Brazil. We are showcasing more specifically his project for Bente Tattoo Studio. Opéra Saint-Étienne 2016 is a brand design project created and shared by Graphéine. Among everything we feature about UI/UX, we do feel that we don't share about graphic design and typography. A little less than 5 years ago, we didn't such a craze about user experience and interface design so we had graphic design.